For years you’ve had a harmonica in the cupboard and you’ve promised yourself that, one day, you’ll start playing it. Well congratulations, because that day has arrived! Under the expert tutelage of Beginners’ harmonica specialist, Paul Gillings, you can enjoy a fun and rewarding day of music making in the company of fellow newcomers. You will learn a series of practical foundation skills from breathing, embouchure, hand effects and chord playing, to single note playing, tone building and reed bending. Richard Taylor will be joining us for parts of the day’s programme too. 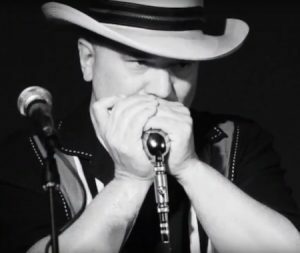 By exploring a variety of tunes and musical exercises, you will develop a clear mind map of the harmonica’s lay out, learn to adopt new positions for different musical styles and take your first steps in playing chromatically by reed bending. We’ll also investigate signature harmonica sounds such as trains, trills and wah-wahs along the way. Within ten minutes, you will be playing well-known tunes by The Mavericks, The Beatles, The Manfreds and Billy Joel. Yes you read that correctly. By the end of the day you will have covered a repertoire of blues, sea-shanties, folk, pop, reggae and classical melodies. If you’d like to continue developing your ability on the harmonica, we can then suggest online courses, recommend other harmonica workshops or provide a programme of one to one lessons at www.harpsurgery.com.